Tecno mobile is fast becoming one of the most used mobile gadgets in recent times. The competition between the latest Tecno R7 andriod phone has not stopped steaming before Tecno decided to plan for the release of Tecno Phantom Z. I was so shocked to see the advert of the Tecno Phantom Z 3 days ago on Supersports channel while I was watching the updates of the FIFA World cup even though I get hot feeds via my downloaded FIFA app. I was like “Holy cow,” seems Tecno is planning the release of another piece of machine called the Tecno Phantom Z. The advert was in the form of a flash of light as I was only able to capture the feature of “16mp Camera at first glance. So I had to hold on a while knowing fully well that the advert was going to run on Supersports again. 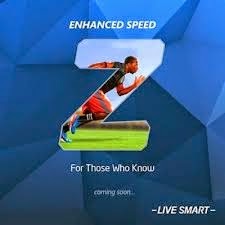 Just Yesterday, I got the some added specification of the Tecno Phantom z and I bet you, it is simply an amazing phone with what I have seen so far. With an Andriod 4.4 (Kitkat) OS, Tecno Phantom Z is expected to offer an Octa-Core processor with 2Gig of Ram. A brief description of the phone shows that it is up to 6 inch in screen size and should be a preferable upgrade to the Tecno Phantom A2 and A3. All I could see on the screen of my Tv as per the time of writing this post is that the Tecno Phantom Z comes with a 2Gig Ram Size and a supposed 16mega Pixel camera with an Andriod 4.4 (Kitkat) Operating system. Other some features seems to be unconfirmed to me since the advert did not give a full hands – on review of what the mobile company tends to add up to the Tecno Phantom Z to make it one of the hottest or most used device in the Andriod world. When Is Tecno Phantom z Going To Be Released? As per the 22/06/2014, Tecno still hangs on releasing the phone very soon. The release date has not yet been released as only adverts showcasing the features, specification of the phone. I intend giving you all a quality review of the mobile phone when Tecno finally releases the phone to the mobile market. What do you expect from the Tecno Phantom z? Your turn. Use the comment box to tell me what you think. I will be glad to hear from you. Superb smartphone and specifications are also compelling. Thanks Robin for stopping by. This guys are really great people to work with. They have done awesome products like the tecno R7 and a host of others. Phantom z is just one of there numerous product. Yet another awesome review mate.